After an intervention by guardian minister Sudhir Mungantiwar, the police department has allowed the DJs to play music during Ganesh festival. However, the permit was issued only after giving several stringent warnings of action on violating of the norms of sound pollution. The ban was directed by SP Niyati Thakre in the Chandrapur district during public and religious events a year ago. After witnessing a large-scale violation of sound pollution norms, this decision has been taken. 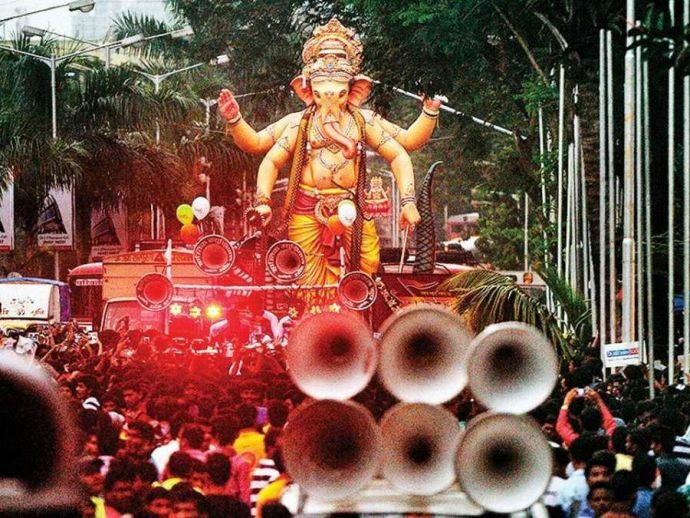 Cops seized a DJ set which was playing in a Ganesh Pandal on Tuesday. Later, after the pressure from the mandal, the cops had to cane-charge a few people. Following this incident, a meeting was held at district collector’s office. The meeting was headed by the collector Kunal Khemnar, Dr Maheswar Reddy, local leader Kishor Jorgewar, standing committee chairman Rahul Pawde, and president of the DJ union. Guardian minister Sudhir Mungantiwar was also present in the meeting through video call. In the meeting, the DJ union was strictly reminded of sound pollution norms and Supreme Court directives. In addition to this, the cops were also asked to keep a close watch on DJs' volume during the festival.